With the NoDo update now available for both the Samsung Focus and LG Quantum, you are going to want to update your Windows Phone 7 device to the latest and greatest. 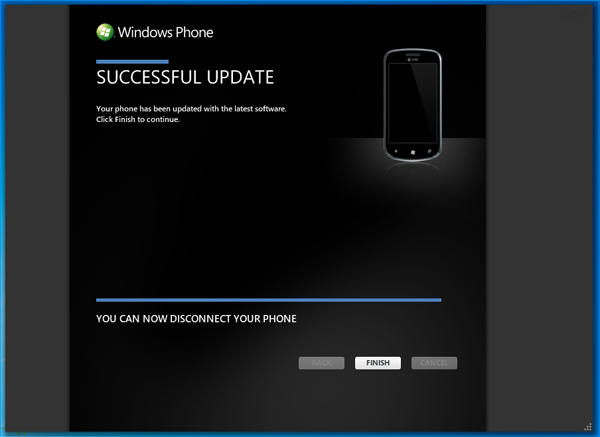 If you have questions, we’ve got you covered with this quick tutorial on how to update your Windows Phone 7 device. In order to perform the update, you’ll need to be running the latest version of Zune software. Don’t worry, the Zune software will prompt you if an update is required. Plug in your phone and the Zune software should advise you of an update that is available. 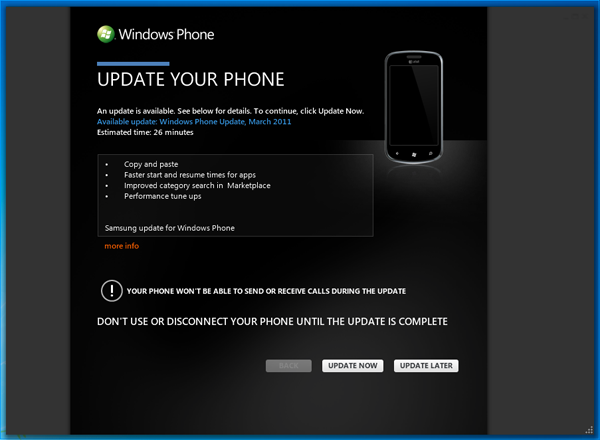 The first update will read: Windows Phone Update, February 2011. Click ‘Update Now’. This update takes an estimated time of 20 minutes. Your phone will reboot a few times during the process. This is normal. Note: You won’t be able to make or receive calls during the update. The February update simply prepares your phone for the NoDo update. When it completes the Feburary Update, it should say “Successful Update”. Hang tight, we’re not done yet. Click Finish. Disconnect and reconnect your Windows Phone. You should be prompted to Update Your Phone. 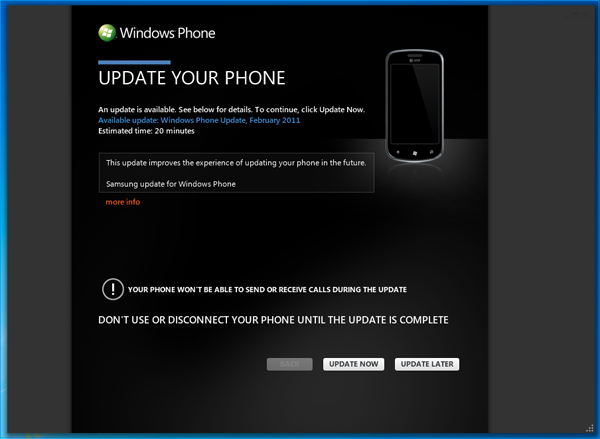 The available update should be: Windows Phone Update, March 2011. This is the NoDo (short for No Donuts) update. Click Update Now. The estimated time is 26 minutes, with a total of 10 steps. Expect your phone to reboot during the process. The software will also create a backup, should there be a problem with the update. 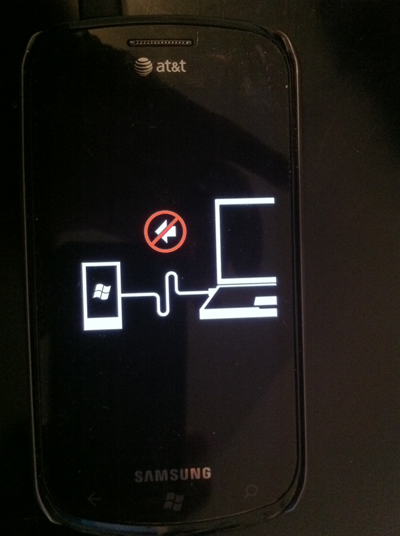 During this process, your phone will have an arrow with a red slash through it. We take this to mean “don’t disconnect your phone during the update”. Not the best choice of graphics, but rest assured it does not mean software is not being updated on your Windows Phone. Your phone will restart one final time and you should see the Successful Update message. You can now safely disconnect your phone from your PC. That’s it. It’s recommended that you set aside 45 minutes to an hour to complete the entire process. In the end, you’ll have the latest software update on your Windows Phone. Included in this update is support for copy and paste, faster app resume times, improved category searching in the Marketplace and a host of performance improvements. Microsoft has announced that a security patch will occur in early May. It’s not clear if that will require you connect your Windows Phone 7 device to your computer or if it will be delivered OTA (over the air). The next major update to your Windows Phone 7 device will be Mango, which is coming this fall. The final list of updates is not yet final. The highlights will be the introduction of multitasking and an improved browser experience with Internet Explorer 9. Have questions? Need help? Hit up our Windows Phone 7 forums. Registration is free and takes only a few minutes. Thanks. Caught up in the excitement of finally getting an update. What can I do if the red arrow thing doesn’t appaer? I am going absolutely insane here – why am I not getting the update??? @Darren The same thing is happening to me too. @Darren & Brandon – The same thing is happening to me too.